There are many widely-held financial beliefs and norms that are simply not true, and can block you from building wealth. When it comes to traditional advice about saving for retirement or building up a nest egg, many of us have been inundated with harmful habits and beliefs. On this episode of Investing in Real Estate, Natali and I are sharing five myths about finances! We’ll talk about the best way to build a savings account, the truth about your 401k, and much more. 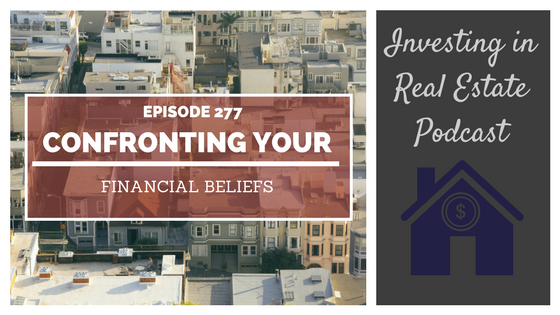 If you’re ready to confront your financial beliefs, this episode is for you! "You should automate your savings contribution in order to build your account balance." We aren't saying this is a bad idea, but if it's your primary means for building wealth, you're not getting ahead of the game. It's fine to put away some money each month, but that's no way to build true, lasting wealth. How can you find the best savings account? Why is buying liabilities a bad move? What are the benefits of borrowing from your retirement account? Why is the safety net of a job a fallacy?